We visited a department store in Tokyo to see what we could learn about Japan's luxury beef brands and its legendary A5 Wagyu. They had Kuroge Washu A5 Wagyu for sale for $195 to $240 per pound. 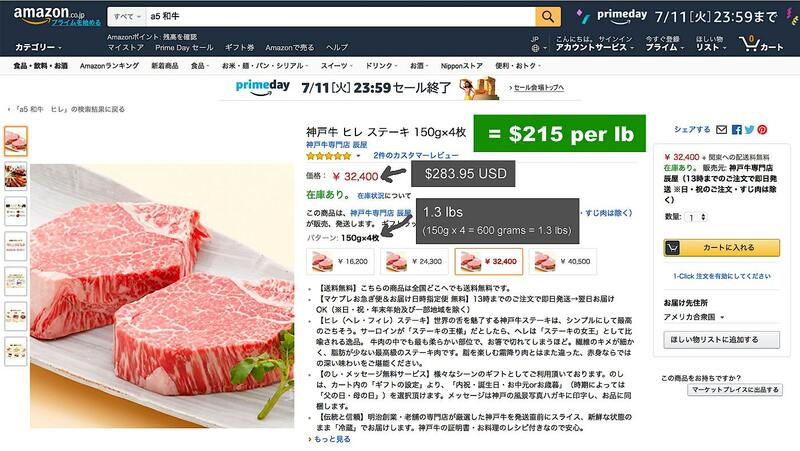 Here is a screenshot of Wagyu for sale on Amazon Japan for $215 per pound.